Starting a business requires consistent attention to detail and a great deal of decision that may seem overwhelming. New business owners may feel lost in a sea of paperwork, where everything seems to be written in a foreign language. The following information will help entrepreneurs take the guesswork out of establishing a business and, discuss how to become an LLC (limited liability company). Sole proprietorship, partnerships, corporations, and LLCs are just a few of the many ways to structure a business or organization. Depending on the type of product or service a company offers, one method may be more favorable over the rest. Small businesses that operate primarily in one state may benefit from the process of forming an LLC rather than a different structure. This hybrid choice blends the benefits of a corporation with the simplicity of a sole proprietorship without the specific organizational restrictions of either. Even if the prospects of forming an LLC sound intriguing, new owners may wonder, “What is an LLC?” Essentially, a limited liability corporation/company allows business organizations to operate in a specified area of goods and/or services within a particular industry and geographic location. The federal government does not directly oversee LLC structures, and most states permit the registration of LLC through online filing. 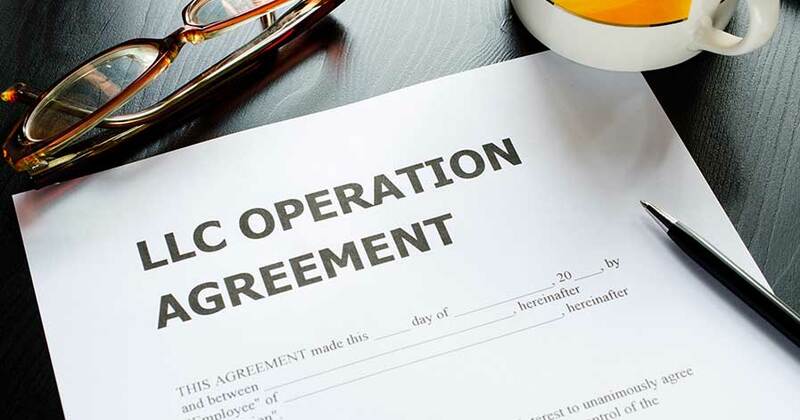 A few simple steps are required to register the organization as an LLC, which we will go over. If the pros and cons of LLC benefits have weighed in favor of registering as an LLC, the process can begin immediately. Each state has a designated agency—usually the Secretary of State or the State Revenue Department—where documents should be filed or approved. The organizational structure must include the business name or the name it will be doing business as (DBA). Research this name online before proceeding with the next step of LLC online filing to ensure the name is not currently in use. Next, list the company address, registered owner or agent, and any other anticipated employees along with their roles in the company. Find out if you can incorporate an online articles of business. If so, you can make changes easily in the future. Take advantage of this option if you can. Can you incorporate online in your state? If so, the cost to create an LLC by utilizing online software or industry experts will be much lower than traditional methods. The headache of seemingly endless tasks will also be removed so you can move forward with producing quality products, or managing the services of the business. The cost to create an LLC factors into the pros and cons of LLC formation. The advent of online services and prepaid legal or business options has drastically increased the availability of knowledge and support for entrepreneurs. Electronic storage for business owners is vital for making updates to future articles of incorporation, business plans, staff changes, and other business upgrades. An online service that specializes in LLC formations will be able to assist in these and other concerns for new or established business owners.